Hi Kathy, welcome to Destination Amish! Can you tell us about Honey Bee Café and Bakery? Honey Bee Cafe opened July 2015 in Sugarcreek, Ohio as a local eatery & coffee shop. In 2016 we added the bakery and began baking all of our baked goods in house from scratch. 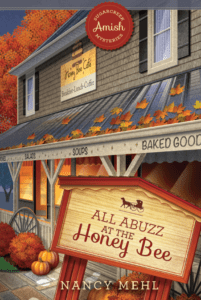 Some folks may not know that The Sugarcreek Amish Mysteries (Guideposts Books) feature the Honey Bee Café! What was your reaction when you were told about the books? I was ecstatic when Nancy Mehl first contacted me about The Amish Mystery Series! At that point the café wasn’t even open and I was working hard on the building and the menu concept simultaneously. It was hard for me to fathom what a great response we’d have in the months and years to come. Favorite thing about owning a business is Amish Country, Ohio? My favorite thing about owning a business in Amish Country is all the wonderful people we get to serve. Whether it’s the local business people or folks that have traveled across the country to come to Amish Country it’s always a pleasure to meet and talk with them. 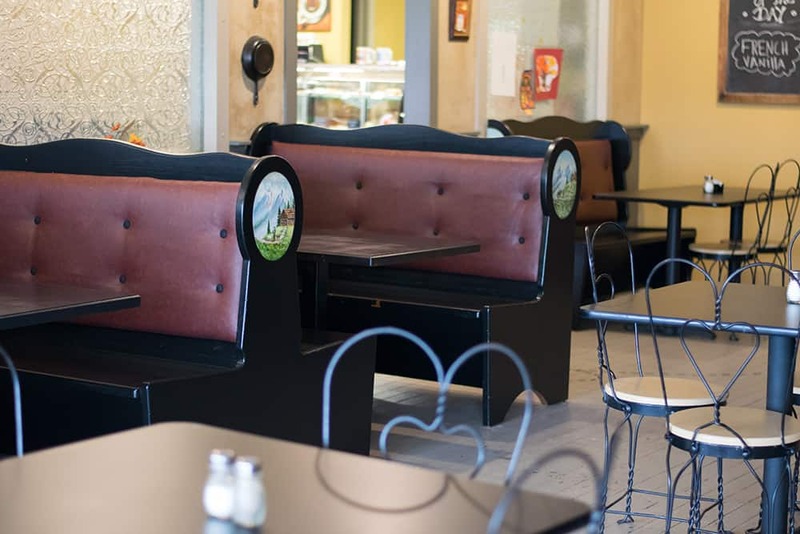 The breakfast and lunch options you offer range from soup, salads, fantastic sandwiches and wraps, daily specials along with a wide variety of Gluten Free items. Is there one food that keeps customers coming back for more? I would say our Chicken Panini and our Apple Walnut Chicken Salad are our biggest sellers, but if you haven’t tried our Apple Bacon Grilled Cheese you should! I love it on our gluten free bread! We’ve added a lot of new breakfast items this year too. Our made from scratch Sausage Gravy Biscuits are very popular. We have a lot of great made from scratch desserts, our fresh peach cobbler with Vanilla Bean Ice Cream is so good! 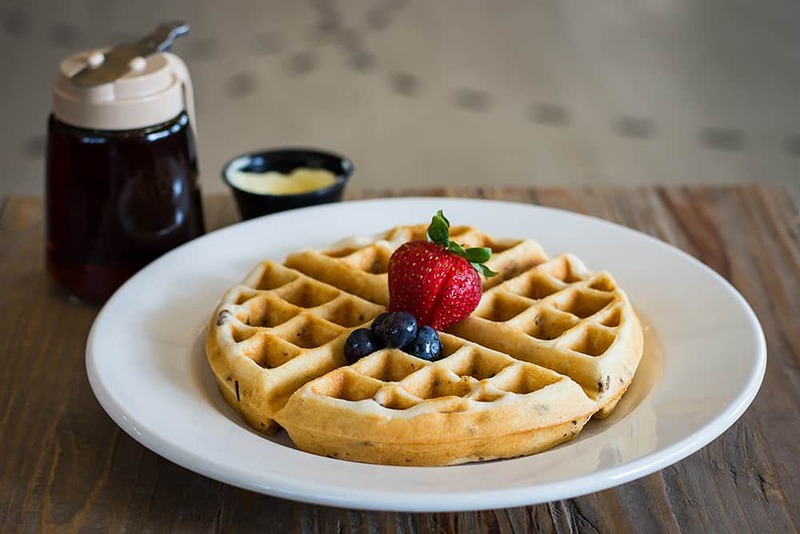 And yes, we offer a wide variety of gluten free options. My boys’ favorite is our gluten free Cinnamon Chip Scones! 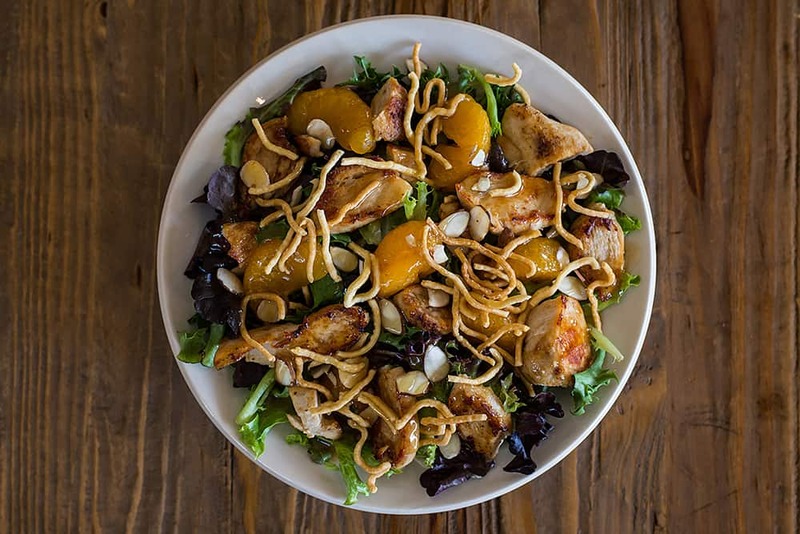 I’ve been working on incorporating gluten free options since we opened in 2015 and I add new items each year. A lot of people come to Honey Bee for this reason. What do you find most challenging about running a café? The most challenging thing for me is sitting down. I would much rather be in the kitchen & out in the café or out landscaping after work than sitting in my office so that makes it difficult to get paperwork done. It gets done eventually. I just have to force myself to set time aside to do it. Your drink menu is awesome! What’s your most popular drink you serve? Thanks! People really like our fresh brewed coffee! We serve Counter Culture Coffee so you can’t go wrong with any of our specialty coffee drinks as well, but I’d say our Honeycomb Latte is most popular. Also, our fresh squeezed Lemonade and Smoothies are very popular. Thanks so much for the interview, Kathy! Anything else that you would like to share? 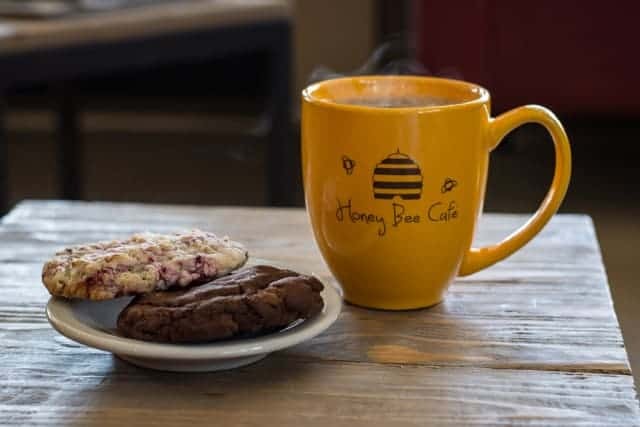 Visit honeybeecafeandbakery.com and follow the cafe on Facebook and Instagram! Fun news: Guideposts Books sent us a copy of ALL ABUZZ AT THE HONEY BEE to give away to ONE lucky reader! To enter, leave a comment below. Giveaway starts today, Wednesday, October 3rd and ends Wednesday, October 10th and is only open to US residents. One winner will be selected at random and announced on Thursday, October 11th. Good luck and don’t forget to share this giveaway with your friends! 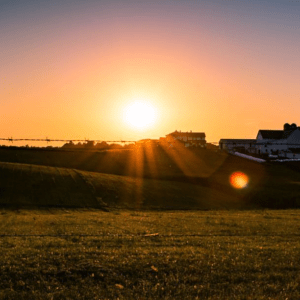 Mysteries abound in Amish country! These cozy mysteries center on two women crime solvers from different backgrounds solving Christian mysteries in Sugarcreek, Ohio. With the recent string of robberies at local banks, Seth Miller removed his life savings from his credit union. However, only a few days after, his money is now missing! As if this was not bad enough for the town of Sugarcreek, the Honey Bee Café has been losing customers due to rumors that it may be haunted. With the chief of police too busy to address these issues, can Naomi and Cheryl solve the mysteries and protect the reputation of Sugarcreek? Click HERE to learn more about the series! I am a very dedicated reader of the Amish books!! I would love to win and read this! I can’t wait to read these stories! Love the covers, too! Looks like a great fall read in Amish country. Beautiful cover! Love all Amis books! Would love to win! Thanks!! How awesome to feature the Honey Bee Cafe in the books. I live in Pennsylvania and am going to make a visit there.The food sounds delicious! I love Amish books,have been reading them since they first came out. Can’t wait to read this one and the cover is perfect. Thank you for the giveaway opportunity. Was in Sugarcreek a few weeks ago. Missed going to your restaurant. Will be sure and stop by next trip. Only read Amish fiction. Love it! Watched the video as well as reading the interview and about The Honey Bee Cafe. I think they sound amazing! I absolutely love this series . I’ve been to Sugarcreek before and loved the area and surrounding communities. Would absolutely love to win a copy of this book. I love the cover! Very eye catching!! I love reading about the Amish. When you add suspense/mystery you’ve really hooked me. Their simpler way of life reminds me of the stories my grandmother told of her growing up in the late 1890’s & early 1900’s. She taught me to cook on her wood stove. I remember her excitement when she was able to get a gas stove and a refrigerator. Even more excitement when she got indoor plumbing . Also, I lived near an Amish and a Mennonite community when we lived in Fl. I admire their way of life and dedication to their beliefs. Sometimes we drive to Etheridge, TN to the Old Order Amish community and buy produce and canned items. About a 2 hr. drive. I would love to visit your cafe. All I have read for the past 6 years or more are Amish books, whether they are true stories, fiction, mysteries, it doesn’t matter, Amish books keep my attention and I love them. I would love to win this book. I am looking forward to reading this series. I read and watched video and really amazing. I just wished I lived closer to the cafe. I am an advid reader of Amish books n have a collection of them. Good luck to everyone. An thank you for offering this giveaway. I Love to read Amish books and for years, we have always had a subscription to Guideposts. The cafe sounds like like a must stop while in Holmes County. Hope to visit there one day and enjoy a meal. Love reading Amish books and would be grateful to add this book to my collection. Thank q.
I read the original article about the Honey Bee Cafe in Guideposts. In fact, I still have the issue. I was very impressed to learn about Kathy and Honey Bee Cafe. I know that I will never be able to visit there. It just isn’t in the financial cards for me. My friend sent me a picture that she took while in Amish Country last June. this will have to be a stop for us when we head east we live in eastern iowa. this sounds so good and i would love to read and review on a few sites. t/y for offering a print book especially for those that are disabled like me and can’t do tech fingers crippled. I have not been able to visit Sugarcreek but live within a short distance to many Amish families. Their talents are amazing and I love to purchase their bake goods. My fingers are crossed I am one of the lucky to win a copy of this book. I love Amish Fiction. Love Nancy’s books. I LOVE READING ABOUT THE AMISH AND THIS IS A BEAUTIFUL COVER WOULD LOVE TO WIN THANK YOU SO MUCH FOR THE CHANCE WHAT AN AMAZING GIVEAWAY! I love reading any Amish book I can find and I enjoy trying the recipes. I enjoy Amish series and am looking forward to reading these books! Wow! Just reading your interview made me hungry! I’ll bet it’s getting beautiful up there with fall settling in. Just to let you know, Oct. 10th is my birthday. This sure would be an awesome present. 😉 Thanks for sharing! I love reading Amish books, been reading them since I retired when I was 70,thinks for a chance to win. Great interview. I will have to read this book. I am so sad that you will be closed when I come to Sugarcreek in December. I was so looking forward to visiting. Lovely fall cover and storyline is very interesting. Love to read it! I’ll be at Sugar Creek next summer, because our teardrop camper was made at nuCamp there. There’s an annual Gathering of teardrops, and I will be sure to visit the bakery! 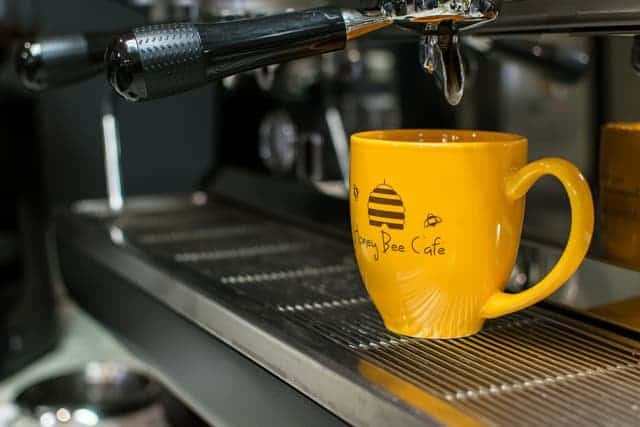 The Honey Bee Cafe sounds like such a delightful place! Amish books are my favorite genre to read and this book sounds like one I would enjoy. Enjoyed reading the interview. 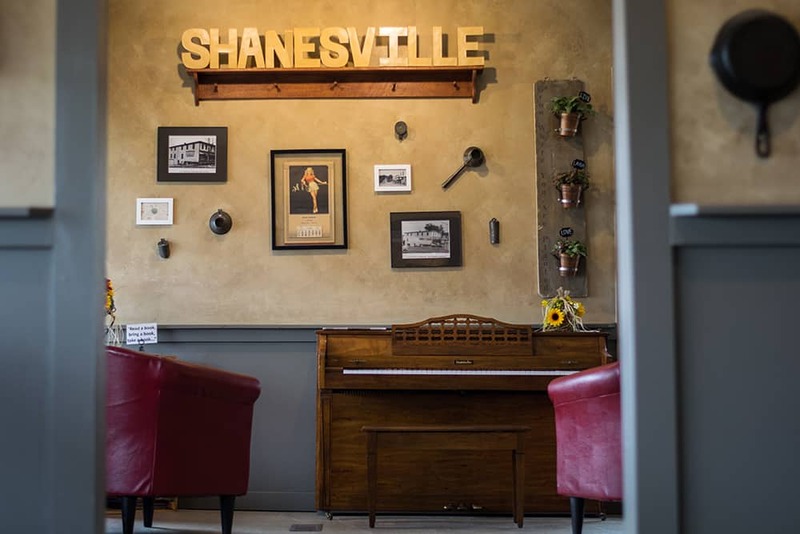 We were in Sugarcreek a few weeks ago and missed stopping in, but will definitely visit on our next trip. Thanks for the chance to win. A very interesting interview! I enjoyed and am grateful for the chance to win the book. My husband and I love to visit Sugarcreek and Walnur Creek for vacations. It would be fantastic to read this book and recognizing many of the places. Thanks for the opportunity to potentially win a copy. This sounds like a great book. I would love to win this. Hoping to stop by soon I have theee visits to Amish Country planned in October. I am fabulous fan of Amish fiction!! I sure hope to be able to add more books by amish fiction authors and series, as well. Great interview, Love books about the Amish. And I really enjoy books by this author. Now I will need to check this cafe out on our next visit to the area! This book sounds very good! I used to get Guideposts and it is a good magazine. This book sounds like a god story. I LOVE this series of books. Wish it would not end! 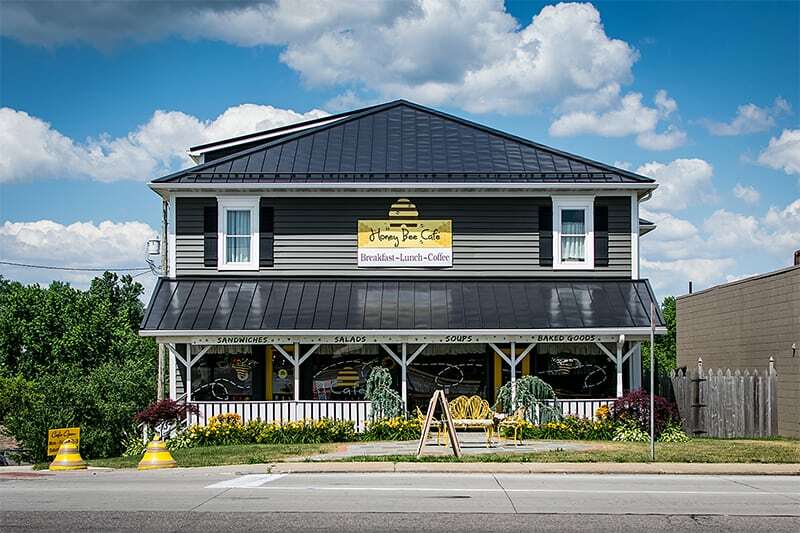 We visit Amish Country a lot and of course visit The Honey Bee Cafe…yummy food! I really like reading Amish fiction and I haven’t read this series yet. Would love to read about the Honey Bee Cafe. I love reading books on the Amish. Haven’t read these yet, but they’re not on my list! My mom and I stop here every time we are down that way!! Love your place and the atmosphere! This would make a great gift for my moms October birthday! I have heard of these books and can’t wait to be able to read one! This sounds like a great book, I would love to read it! Glad to learn of this series! Love Amish mysteries! Love bees! Sounds right for me. Hope I win! I WOULD LOVE TO WIN THE BOOK ALL A BUZZ AT THE HONEY BEE! love amish stories! We have this series in the Church Library. Our readers love our books about the Amish both Fiction and Non-Fiction. I would love to read this book. The good sounds absolutely delicious. I wish Ohio wasn’t so very far away from Oklahoma. Thank you for the chance! I really like reading Amish books it gives me a place to go to and from away from the worldly ways. it is my get away. Thank’s for a chance to win. I love Amish books and have read quite a few. I plan to come up next spring to visit the area. I’ll have to put the Honey Bee on my must check out places to eat. I have read the first book in this series and can’t wait to read the rest!! The winner of a copy of ALL ABUZZ AT THE HONEY BEE is Andrea B. Brooks. Congratulations! Please watch your email for directions on how to claim your book. Thanks for entering, everyone. Be sure to watch for more giveaways!